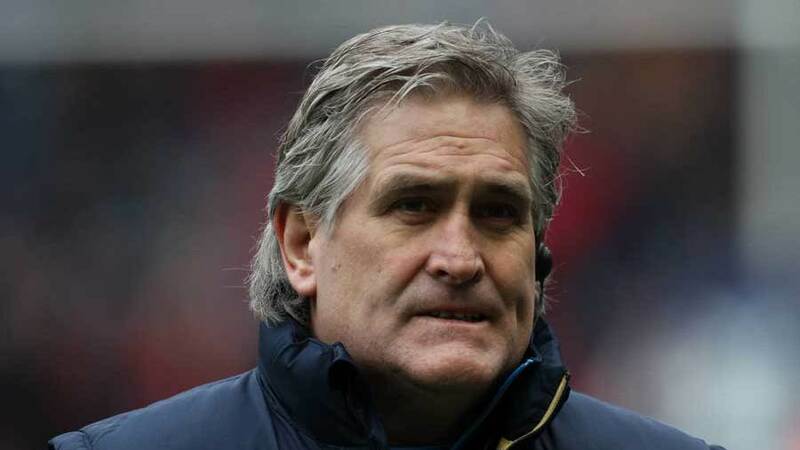 Scottish Rugby Union CEO Mark Dodson has defended Scott Johnson in the wake of their poor 2014 Six Nations campaign. Johnson acted as interim coach for the championship with Vern Cotter taking up the post of head coach in the summer when his time with Clermont Auvergne comes to an end. Johnson will move upstairs as Scotland's director of rugby and Dodson claims he bravely shouldered the responsibility of laying the groundwork for his replacement. Dodson said: "We need clarity on this issue. We appointed Scott to be director of rugby first. Then we got Vern Cotter as head coach. We knew we would have to wait for Vern as he wanted to finish the job he started at Clermont. "We asked Scott to stand in during the interim. He had no ambition to do that but we asked him. He was happy to do it on one proviso, and that was to bring on Scottish players in larger numbers. In the period he's been in charge, he has capped 17 new players, so we have a squad that is richer and deeper than ever. "But as for the backlash about Scott being promoted, I'd say that he was never 'promoted' - he already had the job. Now he's going back to that job to develop the plans we have got to develop the next generation of new talent, which is his specialism. We always knew there would be a problem with the 14-month period but Scott did what we asked him to do and he delivered what we asked him to deliver." The SRU will now turn attention to building the club game and its plans include setting up four regional academies and hiring more coaches to bring on the next generation of players. Dodson insists he is also "happy to talk" to anyone willing to invest the £35million needed to run a third pro-team for five years amid rumours that Aberdeen Asset Management chief Martin Gilbert is ready to back a side for the Granite City. But he admits big strides need to be taken and quickly. "We have never come to terms with professionalism in Scottish rugby and that's where the problems that still dog us come from," Dodson said. "We have to make sure we future-proof Scottish rugby so we can compete on a global scale. That means getting more people playing the game, spotting talent earlier, making sure those selected as elite players have the right competitive environment to play in."